Released in 1982 The Living Dead Girl is an interesting film as its sort of a vampire/zombie hybrid with some violent deaths in tune with that of a slasher movie. The Living Dead Girl Catherine Valmont (Blanchard) returns from the dead thus making it a zombie movie, but she feeds off human blood making it a bit of a vampire flick. It also had a touch of Frankenstein; like how the Monster never asked to be created, Catherine never asked to be brought back to life and like the Monster she’s quite sympathetic as she knows she no longer belongs in this world. While I’ve seen some of Jean Rollin’s films before, but its been a while and when I started back up it was with Zombie Lake, which was one of the worst films ever made, but oddly enjoyable at times and The Living Dead Girl comes 1-year later and what a difference in filmmaking and its hard to believe the same person who made this made also made Zombie Lake. While The Living Dead Girl won’t go down as one of the greats it’s an interesting and well made movie and unlike most films of its time it doesn’t knockoff Romero or Fulci and Living Dead Girl might be the most original zombie movie of the 80s. While its always good to avoid cliches the only problem I have with the film is it doesn’t really have an identity since again its a zombie/vampire hybrid and it seems, Rollin was unsure what he wanted to make so he made both. In his career, Jean Rollin is best known for his vampire flicks so I suppose he felt the need to add a little of that in Living Dead Girl. Thieves enter the tomb of Catherine Valmont to steal her jewels and also store some toxic waste in the crypt. 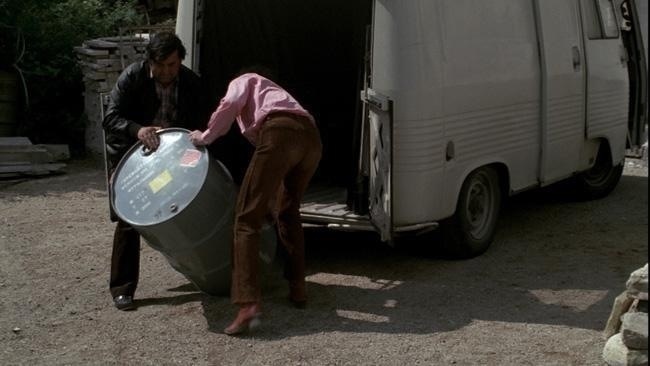 An earthquake hits and spills the toxic waste and the gases resurrect Catherine who dispatches of the thieves. She than heads back to her old mansion. She ends up coming across her childhood friend Helene (Pierro) who tricks people in coming back to the mansion so Catherine can feed and will do anything to keep Catherine’s resurrection a secret, but a when a photographer spots Catherine and begins taking pictures of her only to find out Catherine is supposed to be dead she begins to investigate what’s going on. 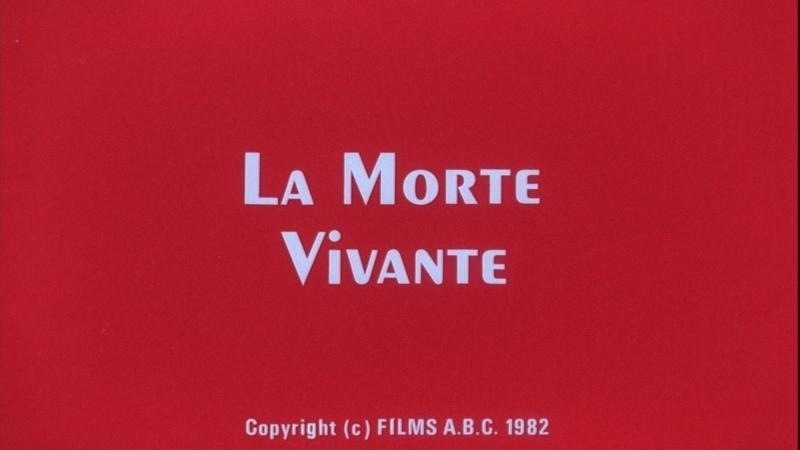 The screenplay by Jacques Ralf & Jean Rollin is actually quite interesting since as mentioned it plays up to both zombie and vampire elements and while the characters lack depth and the script unsure of exactly what it is the film is fairly well written. None of the characters standout except Catherine who as the script goes on becomes quite sympathetic. Catherine is able to retain memories of her life while alive and as the film goes on even is able to speak as well. There also comes a point when Catherine realizes she doesn’t belong in this world and no longer wants to kill anybody. I’d say Ralf & Rollin had to be heavily inspired by Frankenstein since it takes so many aspects of it. In some ways the script can also be seen as a love story of sorts since it seems there is something deeper to Catherine and Helene’s relationship than just friends or that’s how I saw it. What’s also interesting is there really isn’t any real villain either; Catherine starts off as one, but as the film goes on you begin to feel bad for her and if anything Helene is the real villain as she tricks people into going to the mansion for Catherine to feed and even kills people who can expose her secret, but Helene is also just trying to protect the person she deeply cares about even if she is committing murder its done more than just being evil. Quite honestly I didn’t really expect anything like this out of the script and while sure characters are one dimensional, the plotting a little uneven the script also has some deeper aspects that might be lost on some or perhaps I’m looking into things too much. As director Jean Rollin delivers a solid film, but with many flaws. In general Living Dead Girl is well made, but the pacing at times can be quite sluggish. Everything starts off well enough, but as the film goes on and strays from any action for quite a bit things do begin to slow down and while I wouldn’t say I was bored it wasn’t very exciting either. The majority of the film is shot during the day, which does hinder the suspense and while the final act is nighttime it’s also very brightly lit as well. Living Dead Girl has some great settings, but Rollin never uses it to its fullest potential as the film for the most part does lack eerie atmosphere and the suspense can be a little weak for the most part, but despite these problems, Rollin does deliver a mostly well made film that can at times as I said be sluggish in its pacing. When there is action, Rollin does deliver the goods with some great gore and outside of 1 or 2 gore scenes they all look great. I’m not very well schooled on the career of Jean Rollin despite knowing who he is, but based on what I have seen I never thought he could deliver a deep film that actually made feel bad for Catherine and the ending is quite tragic and really stuck with me as well. Overall the Living Dead Girl was a much better film than I expected it and while the film has enough flaws to prevent me from rating this too highly it is a film I would recommend and while the film as a whole isn’t strong enough to overcome the flaws it also has enough going for it to make it a solid film.